On an edition of the Sam Roberts Wrestling Podcast, Booker T opened up on a myriad of topics. Most importantly, Booker T opined that the nWo almost single-handedly ruined the professional wrestling business. Besides, the 5-time WCW Champion also recalled turning down an offer to join the nWo in WCW. Booker T is considered to be one of the key figures in pro-wrestling history, primarily owing to the fact that he served as one of WCW’s top stars during the promotion’s bid to outdo the WWE during the Monday Night Ratings War back in the Attitude Era. Meanwhile, the nWo is widely regarded as one of the greatest professional wrestling factions of all time; which comprised members such as Hulk Hogan, Kevin Nash, Scott Hall, Randy Savage—with several other members being removed and added to the group during its heyday in WCW. Booker T insinuated that although he respects one of the nWo’s founding members Kevin Nash—a man with whom Booker T later teamed as part of the Main Event Mafia in TNA—he feels that Nash and other members of the nWo went against the core principles of the pro-wrestling business owing to their desire of wanting to be cheered despite them being the bad guys/heels. “And I'm back in the back listening to all of this like, 'he's the bad guy!' I walked out of the curtain and they played my music, and I walked out of the curtain, and they booed the crap out of me. That's when I knew the nWo, the bad guys, (were) killing the business because they didn't want the heat—they wanted the adulation—the nWo almost single-handedly ruined the business as far as good guys, bad guys, cowboys, and Indians; you don't want to mess that up." "Kevin Nash came to me, he goes, 'Book, hey, Book, man, you know this nWo thing is getting real hot, bro. And, man, we need some color, man.' I swear to God, that's how he said it! 'We need some color, bro.' He goes, 'we want to bring you in.' I go, 'man, thanks, but no thanks. No way.' I said, 'I'm a solo act, man.'" Booker T did in fact join the nWo for a brief stint in 2002, however, that transpired after WWE's acquisition of WCW following which the nWo began performing for the WWE. 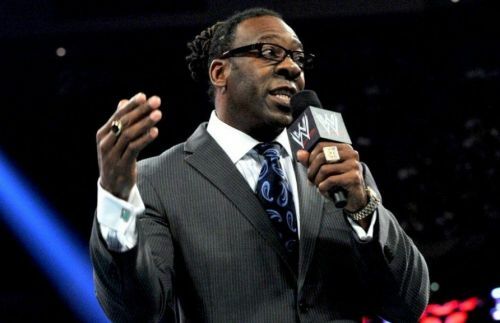 Booker T presently serves as an analyst on the WWE’s PPV Pre-Shows. Meanwhile, the vast majority of the nWo members are either retired or perform sporadically largely in a non-wrestling capacity in the pro-wrestling business. Well, the nWo did change the game forever, however, the group brought more positive additions to the business rather than negative. In fact, the nWo was way ahead of its time, and considering today’s “Reality Era” of pro-wrestling—one in which there aren’t too many clear-cut faces and heels—the nWo’s theory of performing fits right in. Do you agree with Booker T’s comments on the nWo? Sound off in the comments!